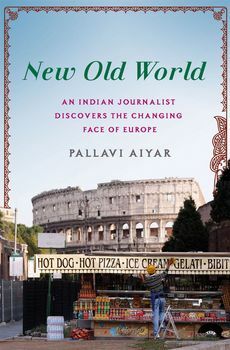 After several years documenting the rise of China, award-winning Indian journalist Pallavi Aiyar moved to Brussels, the headquarters of the European Union, to discover a Europe plagued by a financial crisis and unsure of its place in a world where new Asian challengers are eroding its old and comfortable certainties. With a lively mix of memoir, reportage and analysis, Aiyar takes the reader on a romp across the continent, meeting workaholic Indian diamond merchants in Antwerp, upstart Chinese wine barons in Bordeaux, Sikh farmhands in the Italian countryside, and Indian engineers running offshore energy turbines in Belgium. In the Europe of today everything is in flux, as she discovers through conversations with Muslim immigrants struggling to define their identities, the austere bosses of Germany's world-beating companies and bewildered Eurocrats struggling to keep the European Union from splitting apart. Examining the diverse challenges the continent faces today, among them, bloated welfare states, the accommodation of Islam, the European ambitions of Indian and Chinese entrepreneurs, and ancient intra-cultural fissures. New Old World offers a panoramic look at Europe's first-world crisis from a unique Asian perspective. Award-winning journalist Pallavi Aiyar brings a unique Asian perspective to Europe's current crises.